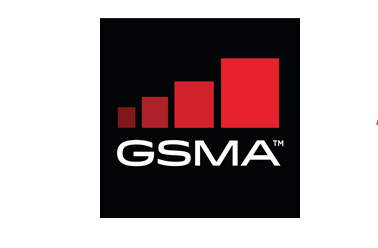 Coinciding with the opening of Mobile World Congress Americas (#MWCA18) in Los Angeles, the GSMA issued a prediction that the U.S. and Canada will experience the quickest adoption of 5G, ahead of other developed economies in Western Europe and Asia. A new GSMA report forecasts that almost half of all mobile connections in North America will be running on 5G networks by 2025. Specifically, the report predicts there will be around 200 million 5G mobile connections in the USA and Canada by 2025, representing 49 percent of the projected total market by that point. The report also calculates that North America’s mobile ecosystem generated more than $830 billion in economic value last year, equivalent to 4 percent of the region’s GDP. 4G accounted for 70 percent of connections in the U.S. and Canada in 2017. The companies describe the deployment as the world’s largest virtual packet core, supporting more than 70 million customers. Cisco and T-Mobile U.S. have also signed a five-year agreement to continue buildout of T-Mobile’s 5G Packet Core and Policy Suite spanning hardware, software and services. With Cisco Ultra Virtual Packet Core & Policy solution, T-Mobile can deploy 5G nationwide, while realizing the full potential of virtualization and cloud to offer its customers new services faster. T-Mobile and Crown Castle are extending their long-term, strategic relationship to cover the deployment of additional small cells within their existing footprint and light up small cells in new markets. T-Mobile will use the small cells to enhance 4G LTE network capacity and prepare for 5G deployments. Sprint launched the third version of its Magic Box small cell for residential users and small businesses. The LTE Advanced-capable device uses 4x4 MIMO, higher order modulation (256QAM) and three-carrier aggregation within Sprint’s licensed spectrum to boost performance. The new unit also includes Wi-Fi backhaul so the device can work using a Wi-Fi connection if wireless coverage is not available. Sprint Magic Box has a color screen that clearly displays key information, two USB ports for charging devices, and an Ethernet port for future support of network devices. Like its predecessor, the new Sprint Magic Box was manufactured by Airspan Networks. "We’re excited to introduce the next generation of our innovative Sprint Magic Box, leveraging advanced technology and our vast 2.5 GHz spectrum to benefit businesses deploying the units and our Sprint customers in the vicinity," said Dr. John Saw, Sprint chief technology officer. "Sprint Magic Box is another great solution we are using to continually improve data coverage and speeds to provide a better experience for our customers." Sprint notes that more than 260,000 Magic Boxes have been distributed to businesses and homes in more than 200 cities since the device first launched in May 2017, representing one of the largest small cell deployments in the world. Keysight Technologies is supplying its 5G network emulation solutions to Motorola Mobility for early 5G chipset prototyping, development, and device design validation. Last year, Keysight was first to announce that its suite of 5G network emulation solutions, including 5G Protocol R&D and RF Design Verification Toolsets, support the new 3GPP 5G NR Non-Standalone standard, enabling the device ecosystem to streamline its product workflow from early prototyping and development to design validation and manufacturing. Equinix has appointed Charles Meyers to the position of President and Chief Executive Officer, effective immediately, replacing Peter Van Camp, who has served as interim CEO since January 2018. Van Camp will resume his role as Executive Chairman of the Equinix Board of Directors. Meyers will also join Equinix's Board of Directors. Meyers joined Equinix in 2010 as President, Americas, the company's largest operating region. In 2013, he was appointed Chief Operating Officer at Equinix. For the past year, he has served as President of Strategy, Services and Innovation (SSI), where he oversaw product organization and led the technology, strategy and business development teams driving the company's next phase of growth and focusing on the future needs of customers and partners.